Are you a Tesla owner? Do you know a Tesla owner? Is the interminable wait for the Model 3 getting you down? Huzzah! Have we got just the right thing for you. 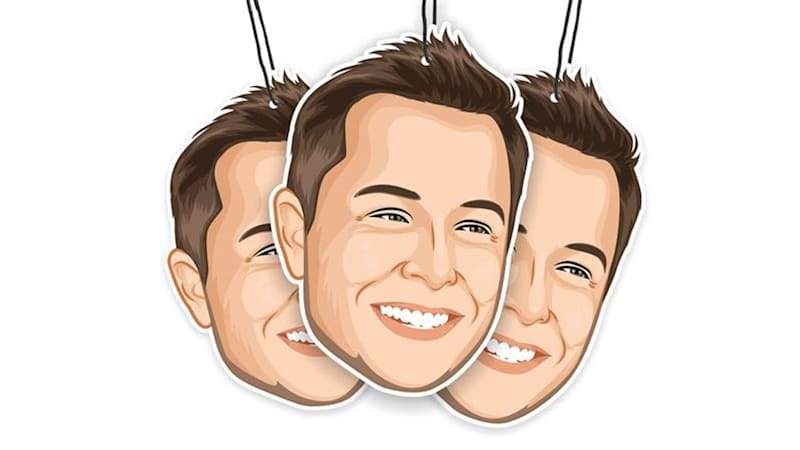 Introducing the Elon’s Musk car air freshener. We are not joking. It isn’t April 1. We checked. Then checked again. This is an actual product being produced and sold by an entity known as The Elon’s Musk Company. You can even buy them in three-packs. You can buy one for $ 6.90 or the three-pack for $ 17.90.